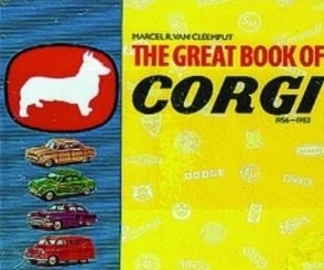 This book covers the entire peroid of Corgi production, which commenced with the showing of twenty-four model vehicles at the British Industries Fair in early 1956 and ended with the last designs in early 1983. In addition, the author provides a short history of the Mettoy Company founded in 1933 and the launch in 1948 of the first 'metal cast' toys which bore no relation to their eventual range of Corgi toys. The Corgi range was in direct competition with Dinky Toys and owed their great success to the constant introduction of new gimmicks and technical innovations. The range comprised some of the most exciting and varied diecast models ever produced, and this book does full justice to every one. The book is exhaustively indexed.